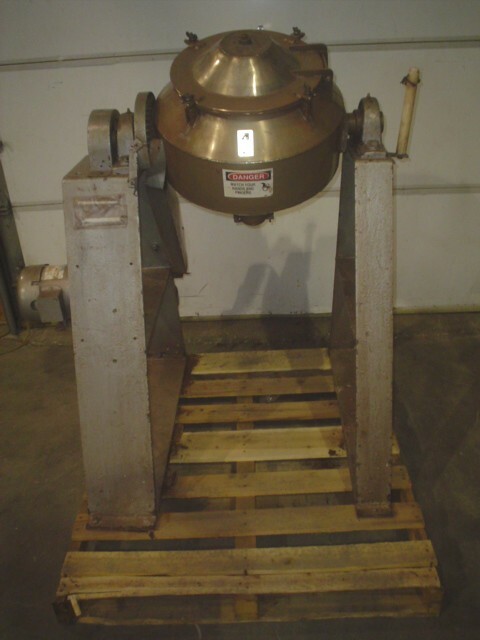 Used Approximately 2 Cubic Foot Cone Blender with Intensifier Bar. All stainless steel cone measures 20” x 20” x 17” with a 2 1/2” discharge. Electrics: Main Motor ¾ HP with Reducer 575 Volts/3Ph/60Hz, Bar 3/4 HP Motor. Overall dimensions: 40” L x 44” W x 48” H. Last used in a large cosmetics factory. Delivery: Immediate.